As I hope most of you are aware, the name of this blog is Chasing Amazing. And while that might sound like a pun on the title of a Kevin Smith movie, the adjective “amazing” is quite intentional. The mission of the site is to follow “one man’s quest to collect every issue of Amazing Spider-Man.” I’m well aware that there are many other comic book titles that star Spider-Man, but since I was a teenager, I decided what limited resources I had to buy and read comic books (especially older, more expensive ones) would be dedicated to Amazing Spider-Man, because it’s the flagship Spidey title that has/had decades of history behind it. But my laser focus on ASM has had its disadvantages – mainly the formation of what I call my Spider-Man “blind spots.” While I think it’s a universally accepted truth that the majority of the all-time best Spider-Man arcs occurred within the pages of ASM, there are dozens of highly-regarded stories that appeared in the Web Slinger’s “B” titles. Also, the “B” titles have had a host of great writers and artists over the years (Roger Stern, JM DeMatteis, Peter David, Mark Millar, Frank Miller, Sal Buscema etc.) that are a draws all by themselves. 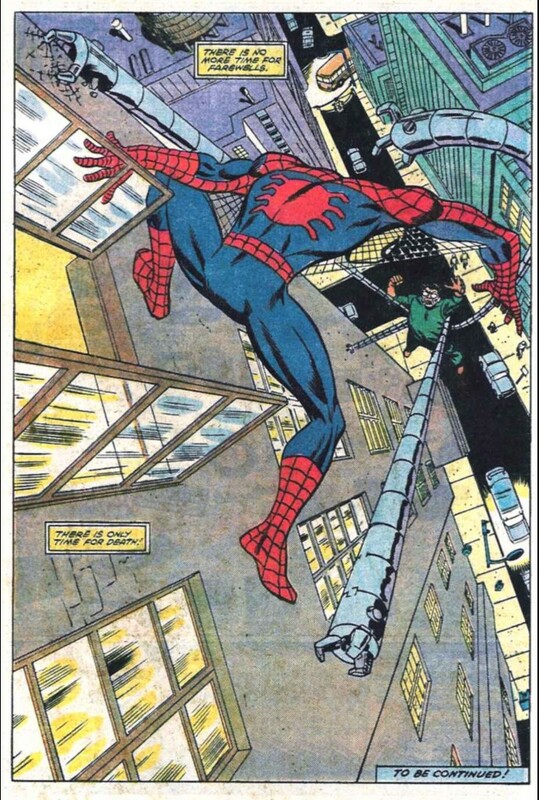 In an act of redemption, here are my blog posts about some well-known arcs and issues that have occurred outside the confines of the ASM universe. Consider this my attempt to remove my “blind spots” and broaden my horizons.